Labor has backed up its Medicare Cancer Plan with a $26 million commitment to clinical trials. In last week's Budget in reply address, opposition leader Bill Shorten said a Labor government would invest $2.3 billion to reduce out-of-pocket costs for cancer patients. Measures include $600 million to eliminate out-of-pocket costs for diagnostic imaging and $433 million for a new bulk-billed Medicare item number for consultations with oncologists and surgeons. The plan has been questioned by cancer specialists and private health insurers. Insurers are concerned the higher rebates could lead to more cost-shifting onto the sector. Some have also questioned the decision to prioritise cancer treatment over other health issues. Labor has now committed $26 million over four years to the Australian Clinical Trials Alliance. This includes $12 million to support two research projects looking at ways to make trials more accessible, $10 million to provide more support for existing Clinical Trial Coordinating Centres, and $4 million to "help ensure that results from clinical trials are quickly implemented". 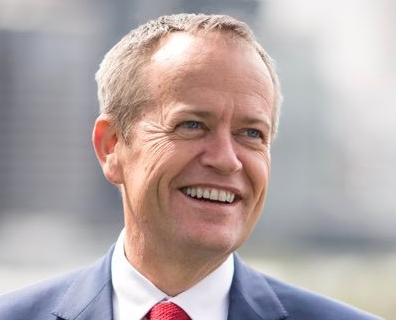 "Clinical trials are the only way we can add to our cancer and disease fighting arsenal," said Mr Shorten and shadow health minister Catherine King in a statement. "It is the process in which new cutting edge drugs and treatments are run through their paces to change the lives of patients in the future." They continued, "There are currently many thousands of patients participating in hundreds of clinical trials around the country – with patients benefiting from access to cutting edge drugs, receiving treatments designed to improve their outcomes. "This also makes our health system stronger by helping GPs, nurses, surgeons and other health professionals understand what works, and how they can use it." They added, "Investing in clinical trials will be critical to improving treatment for people with cancer and making sure Australians access the best drugs and best treatments possible."